jvcreate is run by Jesse VanDerPol. He founded jvcreate in 2004. Since then the company has moved away from print design and towards web design. Primarily all work done now is web work. Still curious about who I am? Find me elsewhere on the web by following the links below. Look at all that good stuff down there. We are pretty proud of it (to say the least). We hope you enjoy browsing through as much as we enjoyed working on them. On the New Balance blog design, the client asked for a design that would communicate an individuals voice while still adhering to their overall site design. The challenge of this job was working within the current web site container. Since this blog would be contained within newbalance.com, maintaining that unique style but still aligning to the brand was a rewarding challenge. 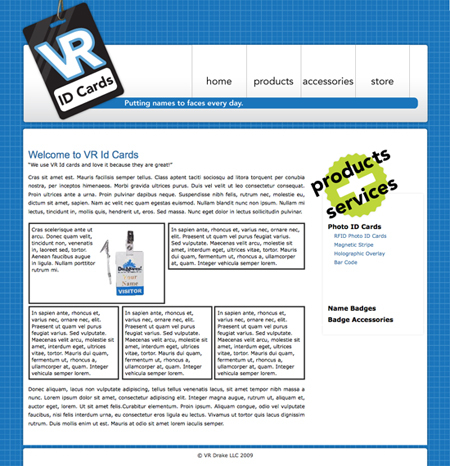 VR Id Cards wanted a complete redesign of their previous webpages and store. I worked with them to create a clean, grid based design which also is applied to their storefront. It was a challenge getting all the pre-existing content to play nice in the new design but the end result was worth it. 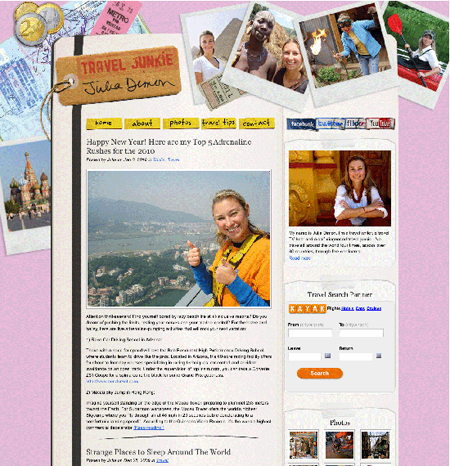 Kayak was wanting a unique, traveler feel for a Julia's blog. Her stories are full of interesting & quirky items. She wanted her website to be similar. Going off of a design that was half hashed out we landed with the final design. Something that fits her personality and style well. 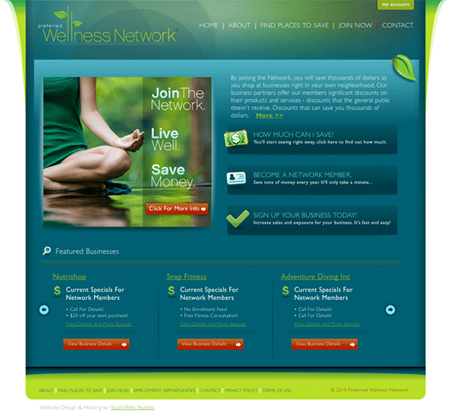 On the Preferred Wellness Network site the design had already been finalized. 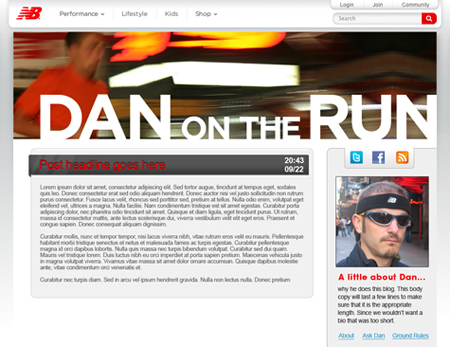 It was called in to create the basic HTML/CSS page structure from the finalized art work. © 2010 • jvcreate llc • twitter • vanderpol • linkedin • • thanks for visiting!